ut as of press time no scores were available. The boys will begin play on Nov. 10. 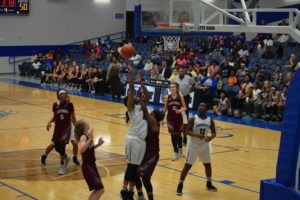 The Houston and Anderson County areas have teams that run the gamut from Class A to Class AAAA with big things expected from both the girls’ and boys’ side of the court. 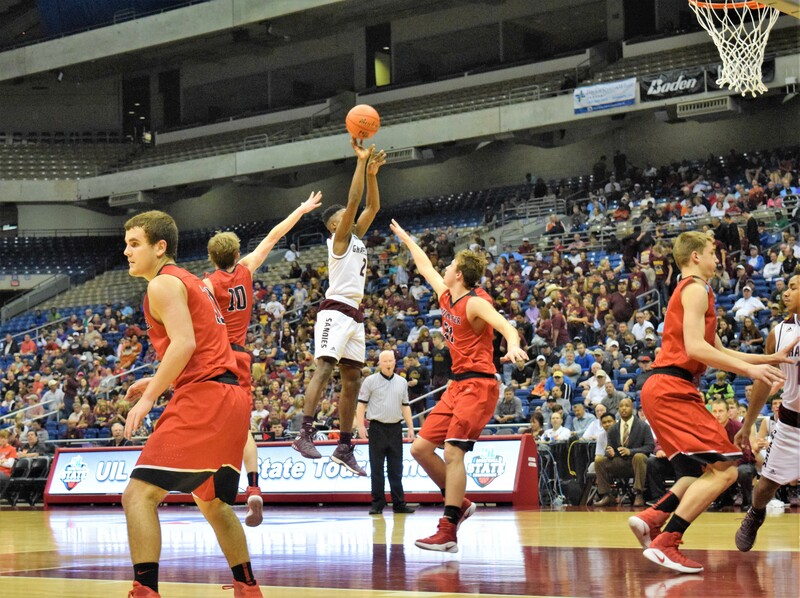 Starting at the Class A level, area teams can be found in District 27 and District 28. District 27 is comprised of: Avalon; Laneville; Milford; Oakwood; Slocum; and Trinidad. District 28 is comprised of Apple Springs; Burkeville; Chester; Groveton-Centerville; Kennard; Martinsville; and Wells. 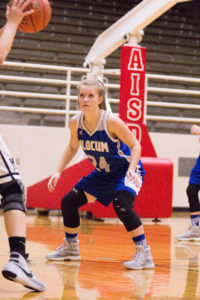 The TABC has ranked the Slocum Lady Mustangs at number four to open the season while the Mustangs are ranked 16th. 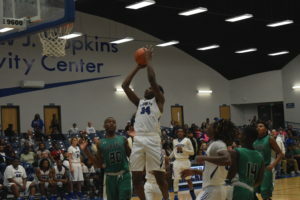 As far as who the TABC feels will make the playoffs on the girls’ side of things, the association picks the Lady Mustangs to win District 27 and the Kennard Lady Tigers to finish third in District 28. While the top four teams in Class AA through Class AAAAAA qualify for the postseason, only the top three teams from each district qualify for the playoffs. 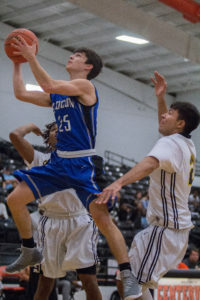 The TABC prognosticators believe the Slocum Mustangs will finish third in District 27 while the Kennard Tigers are picked to finish second in District 28. At the Class AA level, area teams can be found in District 20 and District 21. District 20 is comprised of: Centerville; Dallardsville Big Sandy; Grapeland; Groveton; Latexo; and Lovelady. District 21 is comprised of: Alto; Cushing; Douglass; Mount Enterprise; Neches; and New Summerfield. The TABC has ranked the Centerville Lady Tigers at 14th in the preseason poll while the Grapeland S andiettes are ranked at 19. For the boys, the Dallardsville Big Sandy Wildcats are ranked fourth in Class AA. The Neches Tigers are ranked at number nine while the Alto Yellow Jackets are ranked 21st. The preseason TABC district picks show the Centerville Lady Tigers projected to win District 20 AA. 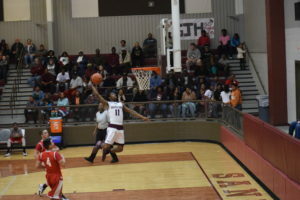 The Grapeland Sandiettes are picked to finish third, the Lovelady Lady Lions are picked as the third place team and the Dallardsville Big Sandy Lady Wildcats are picked to finish fourth. On the boys’ half of the court in District 20 AA, the TABC picks the Dallardsville Big Sandy Wildcats to win district. The Grapeland Sandies are projected to finish second, the Lovelady Lions are expected to finish third and the Centerville Tigers are expected to secure the final district playoff spot. Moving to District 21 AA, the Douglass Indians are expected to finish in first. 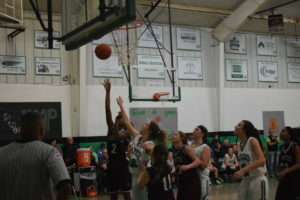 The Cushing Lady Bearkats are projected as the second place team, the Alto Lady Jackets are picked for third and the Neches Lady Tigers are projected to finish fourth. For the boys in District 21, the TABC projects the order of finish as: 1) Neches; 2) Alto; 3) Cushing; and 4) Douglass. At the Class AAA level, area teams can be found in Districts 18 and 21. District 18 is composed of: Buffalo; Elkhart; Frankston; Jewett Leon; Malakoff; Teague; and Westwood. District 21 is made up of: Anderson-Shiro; Coldspring-Oakhurst; Crockett; Hempstead; New Waverly; Onalaska; and Trinity. The TABC has ranked the Teague Lady Lions third and the Crockett Lady Bulldogs as the 16th best team in their preseason poll. For the boys, the Teague Lions are ranked 15th. For the girls in District 18 AAA, the TABC has the Teague Lady Lions picked to win the district championship. The Buffalo Lady Bison are picked second, the Malakoff Lady Tigers are picked third and the Leon Lady Cougars are picked to finish fourth. For the boys in District 18 AAA, the TABC has projected the order of finish as 1) Teague; 2) Westwood; 3) Buffalo; and 4) Malakoff. In District 21 AAA, the TABC has picked both the Crockett Bulldogs and Lady Bulldogs to reign supreme. For the girls, Crockett is expected to finish first with New Waverly second, Coldspring-Oakhurst third and Onalaska fourth. Crockett is projected first on the boys’ side of District 21 AAA with New Waverly second, Coldspring-Oakhurst third and Onalaska fourth. At the AAAA level, area teams are found in District 18. The district is made up of: Athens; Fairfield; Madisonville; Mexia and Palestine. According to the rankings, the Madisonville Lady Mustangs are the fourth best team at the Class AAAA level while the Athens Hornets are ranked 23rd on the boys side. For the girls, the TABC has projected the order of finish in District 18 AAAA as: 1) Madisonville; 2) Mexia; 3) Palestine; and 4) Fairfield. For the boys, the projected order of finish is: 1) Athens; 2) Madisonville; 3) Mexia; and 4) Fairfield.